The pioneering artist and film-maker Agnès Varda has died of cancer at the age of 90, according to AFP citing family members and close ones. Varda received an honorary Oscar in 2017 for being the sole female film-maker in France's radical New Wave film movement in the 1950-60s. Her short film Faces Places (2017), made in collaboration with the street artist JR, was nominated for the best documentary feature category at the Oscars last year. Unable to attend the nominees lunch, Varda sent a cardboard cut-out of herself instead. She started out as a theatre photographer in Paris before shooting her first feature film, La Pointe Courte (1955), and gained acclaim as a member of the French New Wave with her real-time film Cléo from 5 to 7 (1962), about a young singer awaiting the results of a cancer diagnosis. Varda's work has been exhibited internationally, including solo shows at the Fondation Cartier in Paris in 2006, Lacma in Los Angeles in 2014 and the Centre Pompidou in 2015. 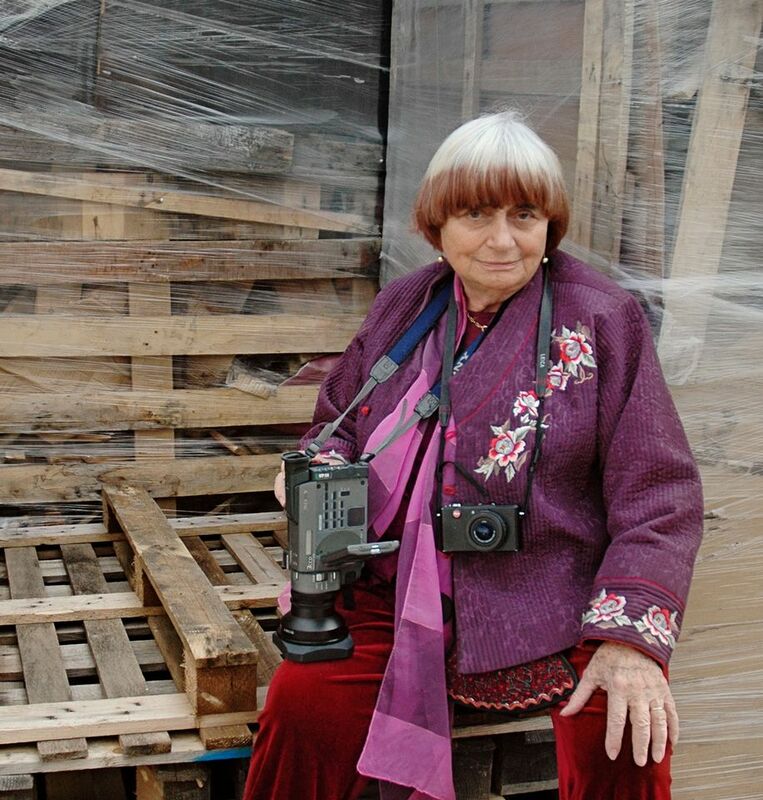 Her exhibition, The Three Lives of Agnès Varda (until 26 May) is currently on display at the Multimedia Art Museum in Moscow. Besides cinema, her oeuvre encompasses photography (including black-and-white images of Cuba in the early 1960s and, more recently, distorted portraits) and sculptural installations. Among the latter is A Cinema Shack: The greenhouse of Happiness, a hut made out of thousands of rows of Super 8 prints of the movie Happiness (1964) with pots of sunflowers placed inside that formed the centrepiece of her exhibition at Galerie Nathalie Obadia in Paris last year.